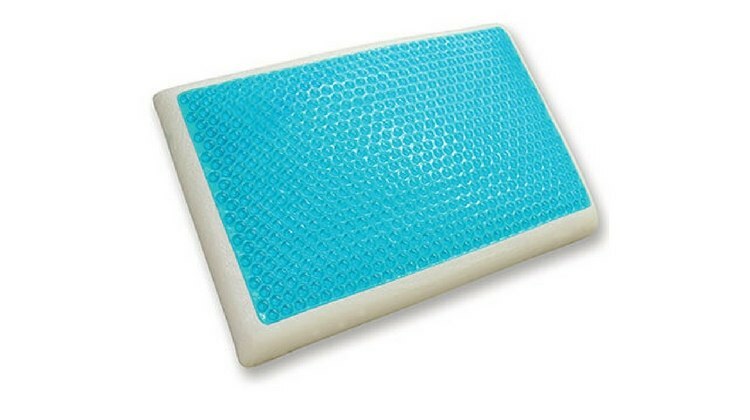 ​In this article, we short-list the top cooling pillows currently available in the market. Our aim is to provide you with the essential information needed for you to decide which is the the best cooling pillow to help you get a great night's sleep while staying cool. This Classic Brands reversible pillow may deliver the cool sleep you're after. The pillow has two sides; the cool gel side of the pillow gives a medium to firm feel while the memory foam side gives a medium to soft feel. The Cool Gel system of open cells invites expanded airflow, therefore making you feel cooler. Breathable and self-ventilating, the composition of this pillow is shown to remove body heat effectively. At 5-inches thick, this Classic Brands pillow works equally well for side, back, and stomach sleepers. If you suffer from allergies, you’ll like the fact that the removable mesh knit cover can be washed and dried to further reduce external triggers like mold, bacteria and dust mites. There’s a 3-year warranty on this pillow as provided by Classic Brands. The Amazon reviews contain mostly positive feedback from buyers. Reviewers have expressed satisfaction with the cooling effect of the pillow. One reviewer, however, complains that it didn’t help with hot flashes. A few reviewers have mentioned that they experienced neck pain, possibly due to the firmness of the Cool Gel side. 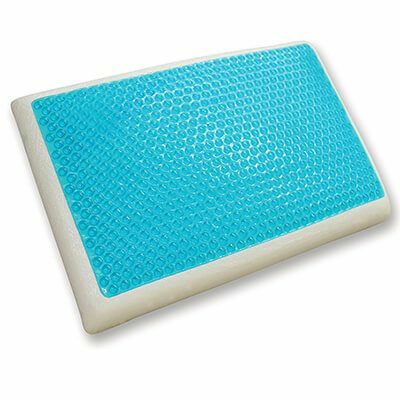 The Equinox cooling gel pillow is available in standard/queen size at 24x16 inches. There’s also a king size that adds 4-inches to the length of this pillow. Regardless of size, all cooling pillows in this collection feature cool-gel technology and a removable, hypo-allergenic spandex-mesh pillow case that can be washed and repels dust mites. 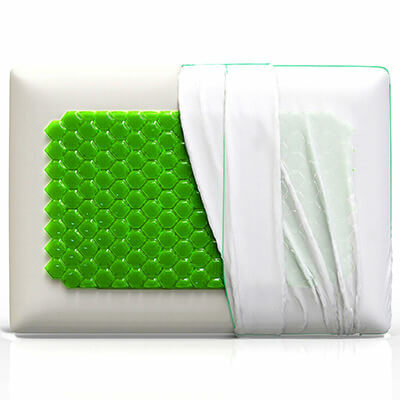 Inside the pillow, the U.S Certified 'CertiPur' foam combined with Honeycomb Cooling Gel enhance the sleep experience. This isn’t necessarily the best pillow choice for those who can’t use thick pillows. If thickness doesn’t bother you, expect excellent body heat extraction capabilities courtesy of the honeycomb gel. Pillow testers insist that the cooling effects delivered by the inner fill mix keep the body cool all night long. If you're disappointed, this pillow comes with a 5-Year Limited Warranty and 30-Day Money Back Guarantee. Unlike many brands of stay cool pillows, the Equinox gets high marks from women suffering post-menopausal hot flashes and other sleep-disruption concerns that range from sweating to migraines. Classic Brands has you covered if you’re big on options. This pillow comes in four sizes: A contoured standard or regular standard that measures 22x16x6-inches, a queen 28x16x6-inch or the 33x16x6-inch king size. The pillow is made of plush, ventilated cool gel memory foam, and the cover fabric is woven to increase ventilation. 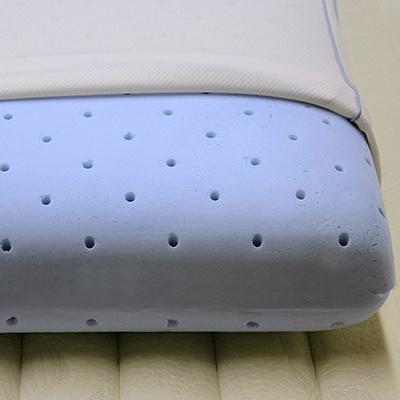 The foam is vented which allows air to move freely preventing the heat from being trapped in the pillow. Additionally, this foam is resistant to bacteria, mold, mildew and dust mites so allergy sufferers rest soundly. This pillow is an ideal choice for back and side sleepers who prefer the thickness in addition to getting those cooling benefits. 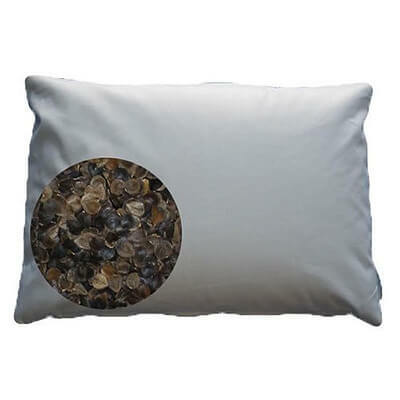 This 14x20-inch pillow is filled with 100-percent U.S. grown organic buckwheat hulls. It is enclosed in a 100-percent cotton covering that’s trimmed with unbleached cotton casing. 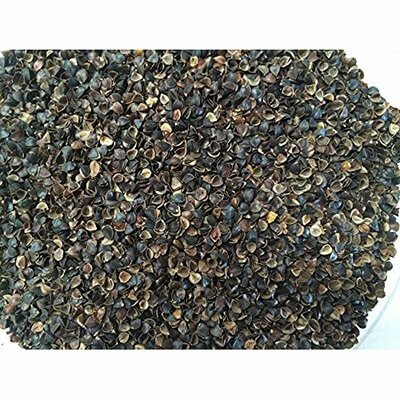 It has a cooling benefit from the circulated air within the buckwheat hulls. Smaller than other pillows on our list, this buckwheat pillow claims to offer relief to sleepers experiencing tension, stiff necks, headaches, neck and muscle pain in addition to the increased body temperature that keeps them awake. Because these hulls are grounded into small pieces, you can expect a cradling effect as the hulls conform to shape and do not “collapse” like memory foam. You won’t find a more environmentally friendly pillow in this review and since no pesticides or herbicides are used to grow the buckwheat, people with sensitivities may tolerate this pillow well. Further, you can control the amount of hulls, using the convenient zipper to remove or add buckwheat to get the support you seek. You might have to adjust to the noise these hulls make when they “rub up” against each other. 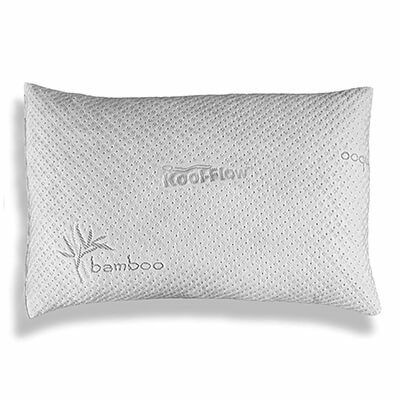 This pillow is composed of an environmentally friendly memory foam packed into a Kool-Flow micro vented bamboo covering. Thinner than traditional pillows, it is ideal for back and stomach sleepers. The breathable micro-vented Kool-Flow™ technology keeps the surface cool by providing air circulation and regulates temperature. Despite being thin, it won’t go flat over time as it is made of CertiPUR-US certified memory foam. 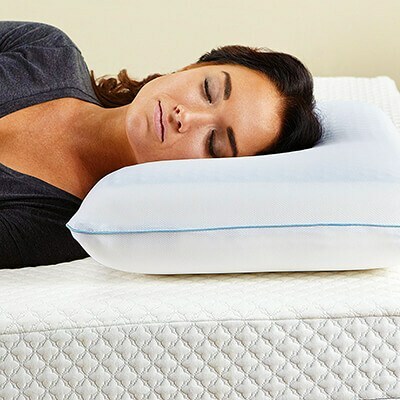 While Xtreme Comforts’ assurances of relief from typical conditions like snoring, insomnia, back and neck pain compare nicely to competitors, this is the only pillow on our list that claims to help with temporomandibular joint (TMJ) issues. It’s been declared hypoallergenic as well by the manufacturer. Are you allergic to some pillow covers? Make sure you choose a hypoallergenic pillow. Do you sleep on your back, your side or stomach? You might require a cooling pillow that’s also contoured to suit your favorite sleeping position. Side sleepers need extra support to keep the skeletal system properly aligned, and so a pillow with a higher loft support will be most suitable. Wedge and knee pillows are the solution for these. Pillows with cooling gels offer the best cooling experience. 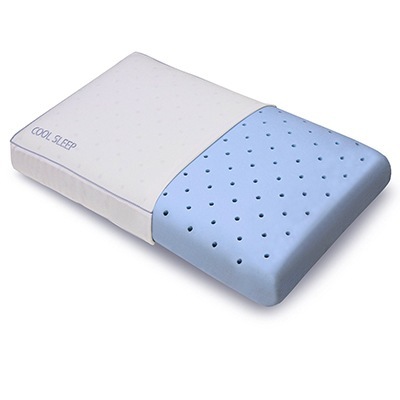 Our choice for the best cooling pillow is the Classic Brands Reversible Cool Gel Memory Foam Pillow. The two-sided option of having an inbuilt cooling gel side and a neutral side offers the flexibility in being able to switch between both when needed. The removable cover makes it easy to wash and maintain, and people sensitive to allergies will find relief from its hypoallergenic properties.